The third project progress meeting was held on 20-21 July 2010. The host organisation was the Russian project partner BIC - Boreskov Institute of Catalysis based in Novosibirsk, Russia. 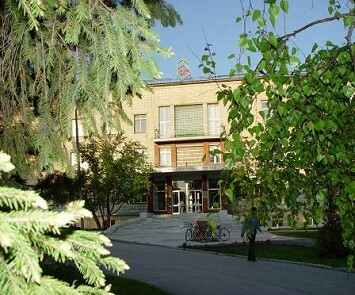 Boreskov Institute of Catalysis of the Siberian Branch of the Russian Academy of Sciences (BIC) is the largest specialised catalysis institute worldwide, founded in 1958 and carrying out intensive fundamental and applied catalysis investigations. The Institute has more than 1000 staff and is well-equipped with high-performance special-purpose units and modern physical devices, which allow the performance of complete characterization of catalysts (porosity, electronic, structural and adsorption parameters) and their catalytic properties using both stationary and transient kinetics methods. The BIC team has experience in the preparation and testing of catalysts, and in developing chemical reactors for: synthesis gas generation from different feedstocks by steam conversion, autothermal reforming and partial oxidation; hydrogen production from syngas by shift conversion and PROX or methanation; methanol and DME synthesis from syngas; gas-liquids synthesis; biofuel upgrade, gasification of carbonised biomass. The BIC team has an experimental installation for catalysts testing up to 80 bar. BIC holds various patents in the field of catalysts, their method of preparation and the method of synthesis gas generation and for a method for CO removal from hydrogen containing mixtures.